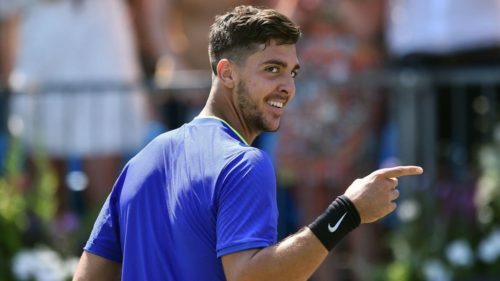 Australian tennis player Thanasi Kokkinakis was spotted with crutches, just hours after suffering a nasty fall at the Monte Carlo Masters. The 22-year-old was grounded after accidentally hitting an advertisement board during his first-round match against Russia’s Karen Khachanov on Sunday that he went on to lose 5-7 4-6. Although the incident – which happened during the end of the opening set – didn’t hamper Kokkinakis from continuing, he was spotted walking with support on Monday. In a video posted on social media, Kokkinakis was spotted with a brace on his left knee as he walked on crutches. He later took to his official Twitter handle to confirm that the injury was caused by the fall. With the extent of the injury not known, it remains to be seen if Kokkinakis will participate at the Istanbul Open that is scheduled to kick-off on April 30.